Great and nice product. Exactly like I expected! Great and nice product. Exactly like I expected! Nice material, good quality and works. Nice material, good quality and works. Very good quality cable. Its worth the little higher price. 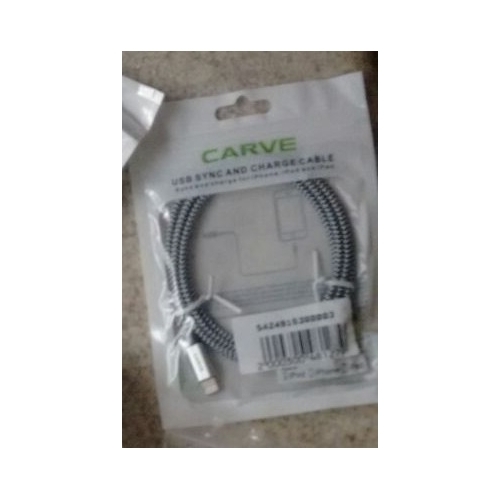 Very good quality cable. Its worth the little higher price. Received and in very good condition thank you. Received and in very good condition thank you. Received product. In good condition, works very good charges my phone quickly, good quality, very pleased with product, thanks will recommend to everyone. Received product. In good condition, works very good charges my phone quickly, good quality, very pleased with product, thanks will recommend to everyone.